Ask me your painting questions! Help....what color should I paint my living room/ kitchen? I purchased a foreclosed Condominium. I am so confused, I need some color therapy!!" The last photo is some of the furniture that she'll be bringing into the new space. Sometimes moving into a fixer upper can be a design challenge. And when I say challenge, I mean an anxiety induced seizer. Especially when it's a condo. Condo's are great for moving into when you're trying to downsize and have a little bit less home maintenance responsibility. They are affordable and cozy and that's what makes them great. The main challenge is that the space is often a little cookie-cutter and it can be difficult to make it uniquely your own. Plus, condo's often have these walls that start in one room and end in the other which makes every space feel a little undefined. Often in new house situations, I like to start with nothing but a clean slate. Live in the house for a while, don't commit to too much too soon. If the walls are in really bad shape, buy a gallon or two of some basic flat wall paint like Benjamin Moore Ben or Sherwin-Williams Ovation and white wash it yourself. Since its all white you won't have to really worry about doing a perfect job. Just stay off the floors and receptacles. Then over time you'll start to get new ideas. You'll buy some new decor and furniture and that will be the launching point of selecting your paint color. Its much easier to match a paint chip to a throw pillow than the other way around. You'll also start to see what the lighting conditions are like and how they change through out the course of the day. In the living room, which is typically your most common area and in a condo, the room which all other rooms are connected to, you'll want to pick a neutral color that can connect all of the other colors in your home together. It acts as sort of a palette cleanser. This will give you freedom to be a little more daring in other rooms. Now that you've lived in it and are comfortable, now its time to do something daring. 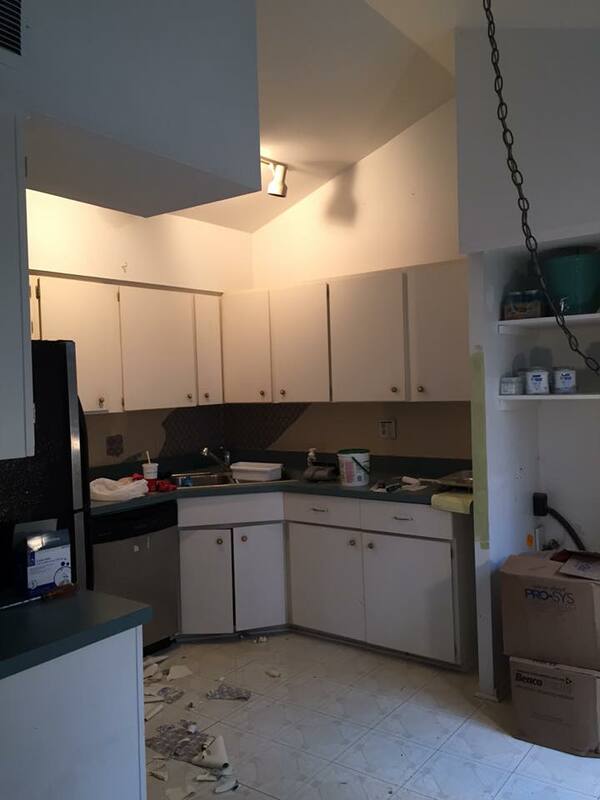 For Janet, my recommendation is to paint the cabinets a nice bright color. 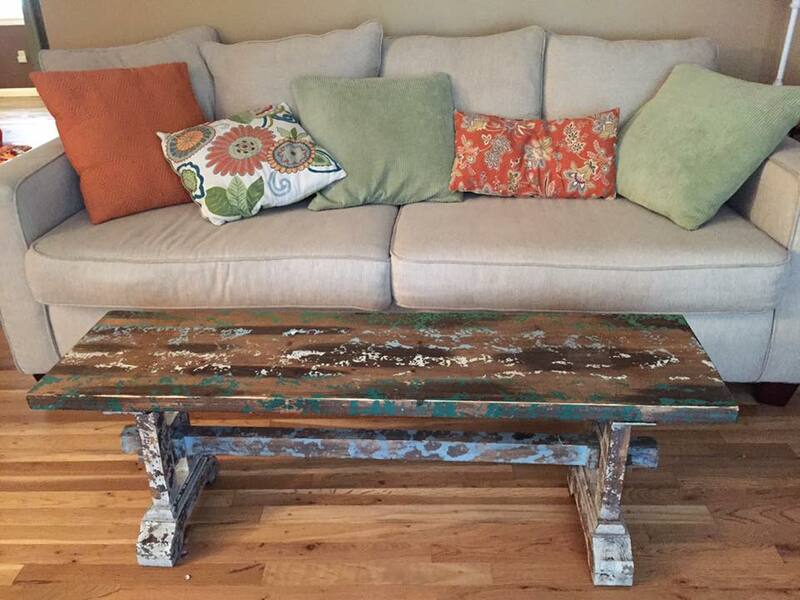 Look at your accent pieces in your living room for inspiration and go to town. For cabinet painting I might actually recommend having a professional come out and take a look at it. You can definitely turn it into a DIY project but after moving and doing everything else I don't know if I'd even attempt it. Plus, having a professional eye in the space to help pick the color will make the investment well worth it. Hope that helps! Stay posted for your Youtube response video!